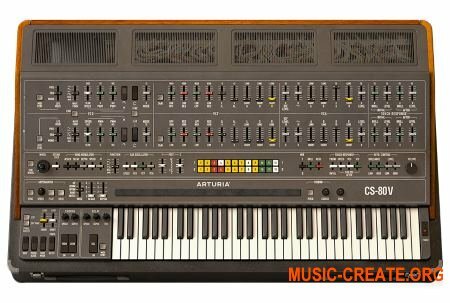 Arturia Farfisa V физически моделирует уникальные характеристики комбинированных органов Farfisa, которые помогли определить лучшие 40 звуков 60-х годов, дополненных усовершенствованиями, которые помогут вам создать новую звуковую территорию сегодня. Этот виртуальный инструмент представляет собой почти точную копию электронного органа Farfisa Compact Deluxe. The Farfisa V brings you sounds that will never get old. Imagine the fun you can have with the classic Farfisa combo organ sounds behind ‘60s chart toppers like Strawberry Alarm Clock’s “Incense and Peppermints” and The Grass Roots “Midnight Confessions”. Those eternally happy bubblegum sounds made a comeback in the ‘80s in the hands of Blondie, Talking Heads and others, and are still cruising today in retro pop, rock and reggae. The Farfisa V is super simple to use and 143 presets from top sound designers assure that you’ll get right down to rockin’ out. If you’re an organist, you’ll love playing this gem. If you’re a producer, you’ll appreciate having the unique ear candy of the Farfisa V in your vintage collection. And if you played a combo organ back in the day, prepare to groove on waves of nostalgia courtesy of an old friend. Infuse your music with the cheerful essence of surf and sunshine. Groovy, baby! Like all Arturia vintage instrument homages, the Farfisa V is completely true to the original. That’s because rather than sampling, we use our proprietary physical modeling technology to recreate in software the exact sonic characteristics of the original under all circumstances. Press any button and it responds just like the hardware. It even looks like the original. If you ever wanted a Farfisa, this is a Farfisa. Playing the Farfisa V is just like having the real thing —except this one doesn’t have cigarette burns on the keys and will never break. The Farfisa V is what would happen if an organ and a synthesizer had a love child. The original Farfisa already hinted at the synthesizers to come with features like key repeat and a rudimentary envelope. The split keyboard option let you assign either one or two of the lower octaves to a separate bass sound. There was also a cool knee lever that manually controlled a filter, like an early version of a wah. (Of course, you can map that to the controller of your choice on the Farfisa V.) We’ve taken our modern version way beyond all that, though. 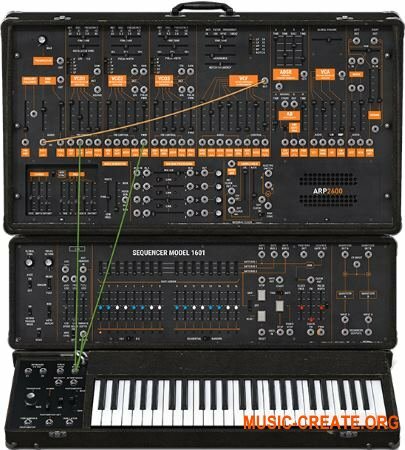 Pop the hood of the Farfisa V and you get tons of extra creative options like the ability to design your own additive waveforms, select new waves for the bass section, set offset filters, customize the envelopes to shape your tone, and more. On the floor, you’ll find a vintage amp and a collection of old-school stomp boxes already plugged in and ready to party —and the settings for the whole rig are saved in your presets. 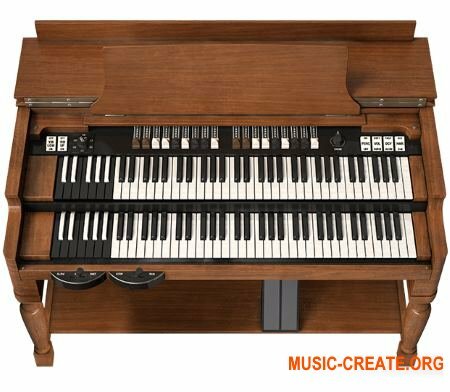 The Farfisa V goes further than any traditional electronic organ, giving you options to infuse your music with new sounds that make people sit up and pay attention.